Baytec Containers Blog: Easter Egg HUNT!!! This WEEKEND ONLY!!! 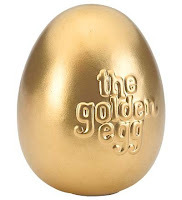 Find the golden Egg and Get 10% Off!!! Easter Egg HUNT!!! This WEEKEND ONLY!!! Find the golden Egg and Get 10% Off!!! Find the Golden Egg somewhere on our Website, click on it and get the code to get 10% Off your order!!! Hop on over to Baytec Containers!! !